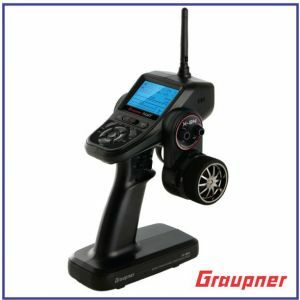 Specially designed to work only with our X-8N and X-8E surface radios, the Graupner GR-8 is a 4 channel 2.4GHz receiver. 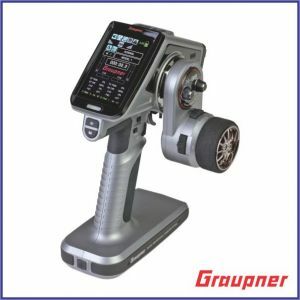 Compatible with our new SUMD V2 technology, it supports Graupner s exclusive HoTT telemetry protocols and can be programmed to output frame rates as low as 1.5ms for ultra-fast response time. Its compact size and top connector access makes the GR-8 well suited for any type of installation, especially where space is limited. The GR-8 HoTT receiver makes telemetry speed controllers and telemetry servos easy to install and is packed with standard features such as telemetry for signal strength, receiver voltage, temperature and main pack voltage (available with sensor P/N S8362, sold separately). With a range of up to 1000 meters and full spectrum utilization the GR-8 guarantees a reliable connection even at the most congested race tracks. That we will provide the best products available to make our customer the fastest they can be. We respond to email, Facebook and many other types of communications promptly and professionally..